Irish fisheries after Brexit: On stranger tides? The British vote on European membership takes place on the 23rd June and the vast majority of the conversation in British media has naturally enough focused on their complex relationship with Europe. But a vote to leave the EU by Britain, which according to the latest Guardian poll is looking more likely, could have some of its most significant impacts in Ireland. And fisheries would not be excluded from this upheaval. Currently all fisheries in Ireland and Britain are subject to the Common Fisheries Policy (CFP) and have been ever since 1973 when both countries joined the then European Community. The policy was designed to prevent over-fishing by allocating national quotas and over time evolved to include assisting coastal communities become more sustainable. Should the UK vote to leave the EU, the CFP would no longer apply and the UK would replace it with its own national policy. The new British policy could look very similar to CFP with its goal of ensuring the needs of the fishing industry are met without jeopardising fish stocks for future generations. But the removal of a common set of fisheries rules and regulations would at the very least mean more red tape and could have serious consequences for cross border industry. 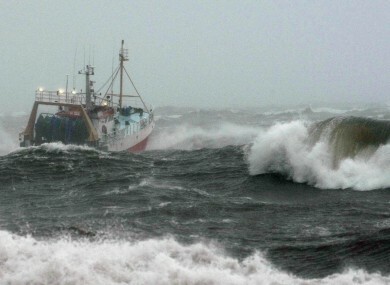 The EU fisheries Control Regulation 1224/2009 which grants access rights to UK fishing vessels would no longer apply and it follows EU boats would no longer have access to UK waters. This has obvious ramifications for Irish fishing communities. For some this inconvenience and all others would be more than balanced out for by reduced interference from Brussels and the regaining of sovereignty over many sectors including fisheries. For others it could prove a burdensome and costly change. Certainly the unknowns surrounding what regulatory policies the UK might pursue outside the EU and how it would relate to CFP means its hard to draw definitive conclusions but it’s clear there would be change and an extended period of uncertainty. With the latest polls suggesting Brexit is now the favoured outcome, serious thought needs to be given to dealing with its impact here in Ireland and preparation needs to begin to deal with the likely fallout. How would Brexit impact Irish fisheries? Good for the industry. More fish, less boats around the island. No change, they’ll work out an agreement quickly, panic over. We’d like to know what you think? Would Britain leaving the European Union affect fisheries in Northern Ireland? Have Irish fisheries either side of the border reason to be concerned? The referendum takes place in 3 weeks on June 23rd. Do the poll and leave a comment if you feel strongly one way or the other.